Our senses come alive to a tune we recognize or an appropriate narration over a publication. In today’s blog we will outline a few simple steps to achieving a sensory interactive experience for your audience as they access your digital edition. When creating your flipbook it’s worth preparing some audio files for specific places throughout the publication as they can add value on a whole new level. 1. You can enable a page-turn sound as the viewer digitally flicks through the flipbook. 2. You can add a background audio track that will play over the entire publication as it is being viewed. 3. 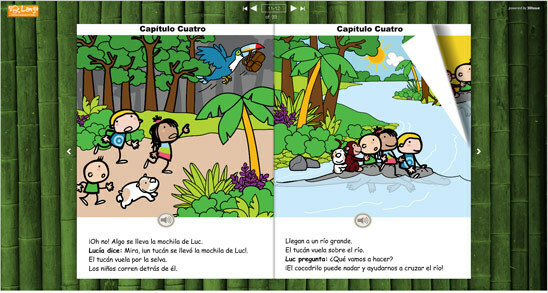 You can also add individual audio files for certain pages to help convey a specific message, to create a certain mood. 4. You can advertise. We find audio adverts are a favorite with our customers. 5. You can play interviews; promotion of your content in many forms should be explored. For example, if you were part of a radio interview, why not make use of that recording again by including it in your flipbook. 6. 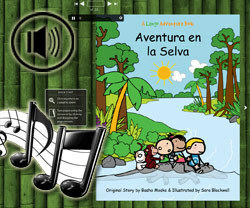 You can create an entire audiobook, ideal for children, e-learning or a hearing impaired audience. We have created this new video tutorial recently; it gives step by step instruction on how to “modify the audio settings within your flipbook” It will help you see how easy these audio features are to incorporate in your publication. 7. You have the option to have the audio file Auto Start on Page. Also the Audio feature can be presented as a button on screen. It can also be presented to the end reader as a Hotspot. These options are outlined in this video on how to add music to your digital edition, and its worth a look. See an example here of how audio can work in a publication; Click on the image below to launch the audio flipbook. In this next Sample you can see how Traction eMagazine has included an audio interview to great effect on a specific page in their flipbook. Please click on the image below to launch. So we have just touched on one feature today that you should consider when creating your flipbook. You can see a full list of features that can add interactivity and may be more suited to your edition or attend a 30 minute webinar in which we give a quick demo of what can be achieved with the flipbook software. Our goal is to allow you to create a flipbook showcasing your content to the best level possible and with the newest technology.